Palmako Helena 24.6m/sq II Log Cabin is an attractive, traditional log cabin, and a very practical addition to the garden. The 70mm Log Cabin Range makes and ideal Log Cabin Garden Office solution It features 70mm wall planks, a double half glazed door, 2 single opening windows on the front and a double window on the side. 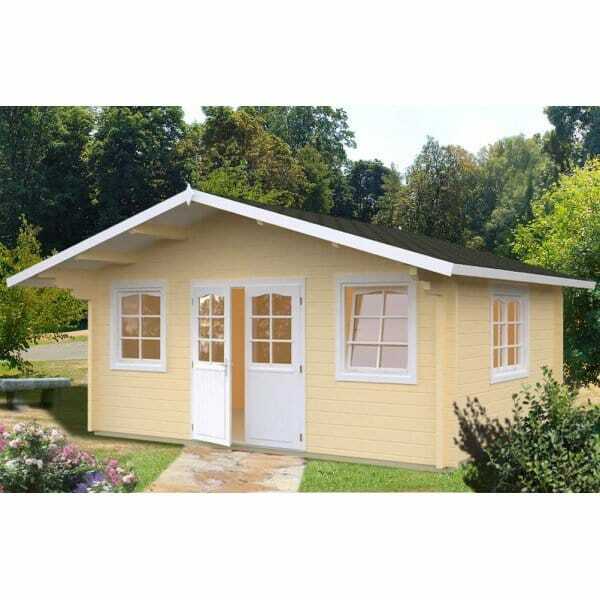 It is double glazed throughout and is an attractive and durable cabin large enough to be used for a wide variety of uses.